For an interactive, topographic 'Map of Isan' click the link or the image. Millions of years ago Isan was also the habitat of dinosaurs. At several sites dinosaur remains have been found. 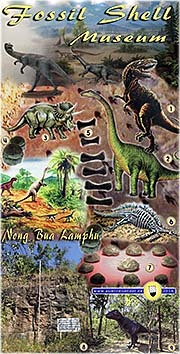 The largest finding site is in Kalasin Province, where also a dinosaur museum opened in 2008. The star of the collection is Siamotyrannus isanensis, supposedly an ancestor of Tyrannosaurus rex. The Shell Fossil Museum in Nong Bua Lamphu is very worth a visit. It's situated in the Phu Chan Mountains and has also a great outdoor sculpture park with dinosaurs in life-size. The village of Ban Chiang is placed on an elevated terrace which is the most significant prehistorical site in Southeast Asia. Here in Isan happened the first transition in Southeast Asia from a nomadic living people to a sedentary tribe which first evolved wet-rice cultivation and other farming methods including animal domestication and metal casting. Phanom Rung is probably the most impressing Angkorean site in Thailand. It's situated on an extinct volcano in Buriram Province, not far from Nang Rong. Few visitors find their way to Prasat Muang Tam, although it's one of the finest Angkorean sites in Isan. 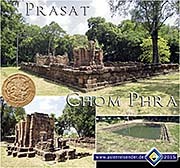 One of the more significant Angkorean sites in Isan is Prasat Ta Muen at the Cambodian border in the Dangrek Mountains. The National Museum in Surin displays some of the artefacts found by archeologists when restorating the site. 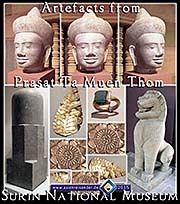 Wat Sikhoraphum, Prasat Chom Phra and Prasat Hin Ban Pluang are only three more Angkorean sites in Surin Province. A small pearl of Angkorean architecture is Prasat That Narai some six kilometers west of Sakon Nakhon. 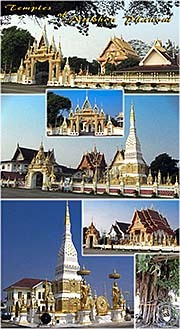 Nakhon Ratchasima or Khorat was a Siamese bastion in west Isan for centuries. The west gate of the former city wall is a remain of the place's 17th century fortification. 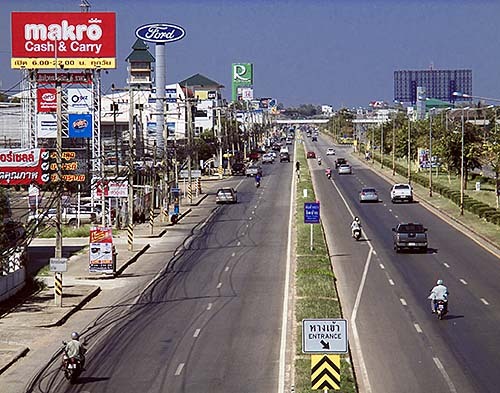 It's also the city center of Khorat. 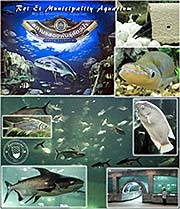 The city of Roi Et in central Isan has a sweetwater aquarium where it is worth to go. Some of the many fish species who live in the Greater Mekong Subregion are to see here. The only sight of Sakon Nakhon is probably Wat Phra That Choeng Chum, which is more than 400 years old and a beautiful Thai/Laotian temple with a chedi (thrat) in an unusual style. 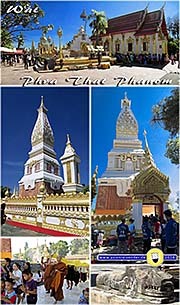 Wat That Phanom is a place with a chedi which dates back to the times of the Dvaravati Culture. It's considered to be the most important sacred place in Isan. 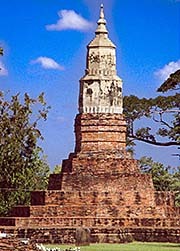 Below the chedi tower lies allegedly a bone fragment of Buddha. Along the Mekong riverbanks of Nakhon Phanom are some temples in direct neighbourhood. 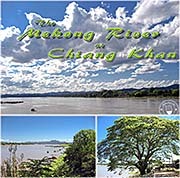 Landscapes of the Mekong River at Chiang Khan. The Phu Phan Mountain Range separates the northernmost part of Isan from the south. 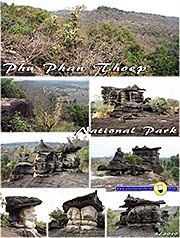 Phu Phan Thoep National Park at Mukdahan is home for a landscape with bizarre rock formations. Besides there were cave paintings found who date allegedly back 5,000 years. 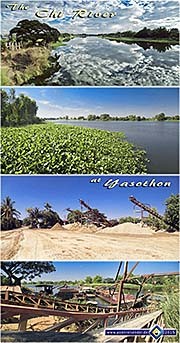 The Chi River is the third biggest river in Isan, slowly flowing along the town of Yasothon. Buriram is a fast growing city along the northeastern railway line and an educational center with two universities and more than 800 schools. The bizarre Sculpture Park at Nong Khai is a remarkable site. The image top right shows a dragonfly, sitting on a wall one morning in Sakon Nakhon. 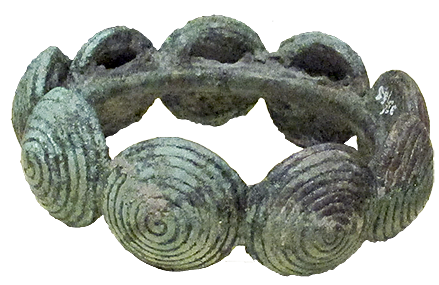 The image bottom left shows a bronze bracelet which was found at Ban Chiang Archaeological Site. Isan is the northeastern region of Thailand. It's geographically situated on the Khorat Plateau, bordered by the Mekong River in the north and the east and the Dangrek Mountains in the south. The western geographical border of the Isan is marked by the Phetchabun Mountain Chain and the Sankamphaeng Mountain Range. Isan is also sometimes spelled as 'Isaan' or 'Isarn', a word of Sanskrit origin, which means 'northeast'. It's also by some seen as a derivation of Isanapura, what was the capital of the ancient Chenla kingdom in the Mekong Delta. The whole region stretches over stately 160,000km2, what is a third of Thailand's territory, and little less than half of the size of Germany. It's mostly identical with the Khorat Plateau, which is lowering from the Phetchabun Mountains in the west to the Mekong River Valleys in the east. 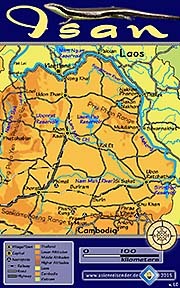 The southern part of Isan is the Khorat plain with the Mun and Chi rivers. The northern Sakon Nakhon Plain is minted by the smaller Loei and Songkhram rivers. All the rivers are tributaries of the Mekong River. The both plains of Isan are separated by the Phu Phan Hill Range. Interestingly, the soils are mostly salty and sandy, what is a clear indication that the Khorat Plateau was once on the ground of the sea. Isan borders in the north and the east to Laos, in the south to Cambodia and in the west to central Thailand with the Chao Phraya Valley. The region is administratively divided into 20 provinces. The Mekong River at Nong Khai. Over hundreds of kilometers it's the border between Thailand's Isan and Laos. The large stream flows here in west-east direction. Fortunately, the Mekong is difficult to navigate and for that very reason spared by mass traffic of large freighters. However, modernity has other demands for the great mother of rivers: it's getting butchered in pieces now, separated in section after section after section by hydroelectric dams with the purpose to produce more electricity just to waste it afterwards. 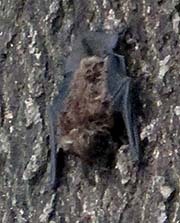 The river's unique biology, with the second richest biodiversity on earth, is therefore doomed to die. Isan's climate is tropical-monsoonal with the hottest time between March and May (dry season) and a rainy season from June to October with a very high humidity. From November to February the climate is dry and the temperatures are moderate, at night time sometimes a bit chilly. However, at my third Isan voyage in the months October 2015 to January 2016 it' was unusually hot over most of the time. For a large, interactive version of the map, click the link. It's always mentioned that Isan is the poorest and less developed region in Thailand. The economy is, following statistics, by 22% based on agriculture. However, since the soil is widely salty, not very fertile and plagued by annual droughts and floods, agriculture is less productive than in other parts of Thailand. There are plans to pump water from the Mekong River upwards onto parts of the Khorat Plateau to irrigate acreage. The loss of that much water as it is planned would mean another heavy impact on the Mekong's ecology and economy downstreams. On 60% of the arable land rice is cultivated. It's remarkable that the sticky rice sorts are concentrated in the areas with a majority of people with Laotion roots, while those with Khmer and Siamese roots cultivate 'conventional', long-corn rice sorts. Sugarcane and cassava are growing in importance as cash crops. As it was always in Isan's long history, water buffalos are still an important working animal and a mean of wealth for many families. Lifestock like chicken, ducks, fish and pigs play another important role for many families in this small-holder society. 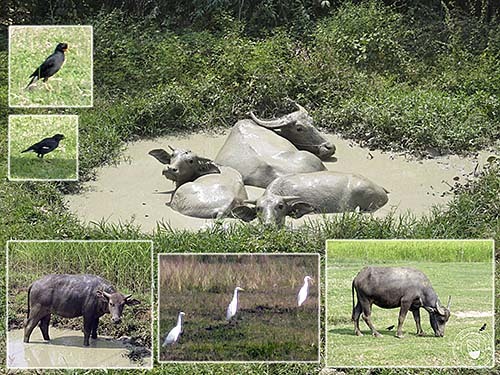 It's always curious to see that the lovely water buffalos live symbiotic with birds, who often sit on their backs and pick flies and maybe other insects like mosquitoes off them. Interestingly also that the common mynas here appear in a dark variation. On these hot days the buffalos spend much of their time in water holes, which gives them also protection against insects and the heat. Occasionally they leave the holes for having some food. A peculiarity of Isan is the silk production. There are still many villages where silkworms are bred and the whole production chain of silk is performed. One can see looms in front of many village houses where women weave silkware. A well-known kind of silk is 'mut-mee', which get's gemometrical batik patterns. 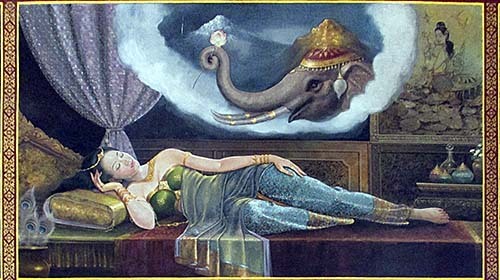 Thai silk became famous in the years after the Second World War due to the marketing of Jim Thompson. 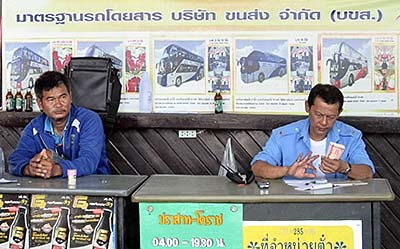 Trade and the service sector are an increasing part of Isan's economy. Many local people also seek for jobs out of the region, particularly in Bangkok. Often they end up in the bad payed jobs as tuk-tuk drivers or construction workers etc. Many girls and young women leave Isan and start work in the touristic places of Thailand. One has to say that most of the prostitutes there are coming from the northeast. With the beginning 21st century Isan's economy is faster developing, and various industries grow up. Interestingly, a distinctive economic factor in Isan are marriages between Isan women and Westerners. These Westerners bring a lot of money into the region, either by living here, building a house and running a western consumer lifestyle with one or two fat cars and all the household electronics and equipments who are standard in the lavish west and seem attractive for the lavish east. Or they take the women into their home countries, from where she sends frequently money to support her family. These Westerners contribute about 270 million US$ annually to Isan's gross domestic product, and, according to a study of Khon Kaen University, create about 750,000 jobs. Only one of the downsides of the fetish economy. Seems, very few people have in mind how much waste is caused by the industries who produce preferably consumer goods of low quality and with short live cycles. How much transport, blood, sweat, war, suffering and natural destruction comes with them, just to end up here soon later? About 21 million people are living in Isan (of the 70 million in whole Thailand). They are called 'khon Isan', people of the northeast. 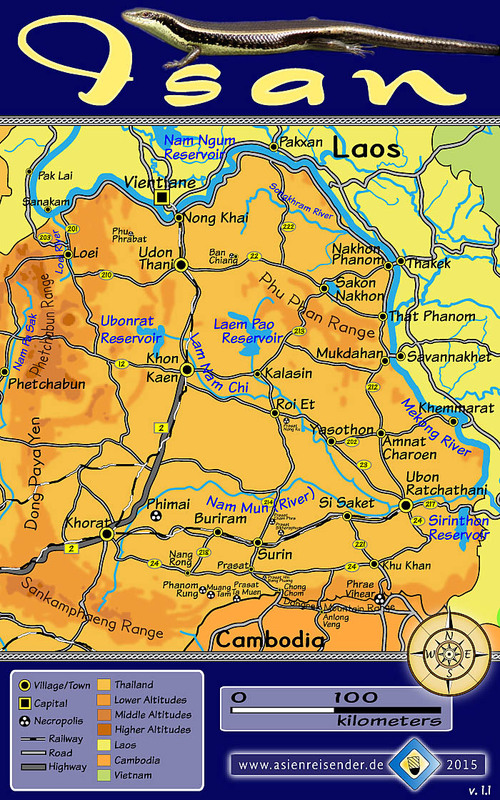 Most of the people are of Laotian decent, some, particularly in the southern part, are of Khmer origin. Laotion and Khmer languages are still widely spoken. 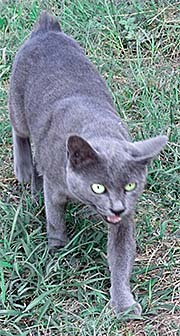 15 million people speak what is called phasa Isan (Isan language), the local dialect of Laotian decent, a unique idiom. However, Thai language is the official language and used in all official contextes, particularly in schools. Many local people switch their language, using the traditional idiom in family context while speaking Thai in other, e.g. official situations. Remarkable is the alleged religious homogenity in the region. More than 99% of the Isan People are theravada buddhists. There is a small minority of christians (0.9%), mostly catholics, and practically no other religion represented. In Si Saket I saw a small christian church. Nevertheless, there are also small communities of muslims - I heared of a mosque in Kalasin and saw some other ones. One shouldn't forget that there is a number of at least 13 other ethnic minorities living in Isan. They are all certain sub-ethnics of Mon-Khmer and various Tai people. 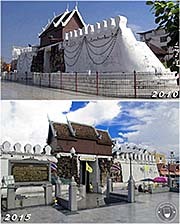 Marriages in Isan usually follow a traditional pattern. A women should marry in the age around 20 years, but as so often in poor, rural areas, girls marry in a much younger age, often with 14 years already. As everywhere in Thailand, the groom has to pay a dowry to the girl's/woman's family, which can easily be as much as 300,000 Baht or (much) more, depending on her social status. It's (allegedly, but value shift happens here as anywhere else in the world) not common for the girls to have boyfriends before getting engaged. The marriage is above all a religious, buddhist ceremony accompanied and authorized by monks (a business act, clearly, because that significant buerocratic act has to be paid for). Additionally, the marriage can be registered by the official administration in the city hall (the secularian business act, here again has to be paid for a certification), what is not always the case. A buddhist marriage is acknowledged in Isan society. For young women it's an important thing to marry young, for there is a social and, moreover, economic pressure on them. The exception is the youngest daughter of a family, who is expected to care for her parents until they pass away. Only then she is free to marry someone. It's also an unwritten law that a woman has to marry a man higher in status as she and her family is. For not few Isan women it's difficult to find a husband if they are locally bound to a place, say they are involved in a certain business or have an occupation as an official or teacher. Well, that sounds very much for a cattle market. Money and status rule this society as any other modern society in our rotten contemporary world. People are, as usual, turned into commodites. And verymost people just accept this nuisance as a naturally given fact, not as a cultural dysgenesis. One has to mention that there are prejudices, particularly in central Thailand, against Isan People. Sometimes they are seen as inferior and are called 'water buffalos'. I personally can not understand that. Travelling in Isan was for me always a pleasure, and I met, as everywhere else in Thailand, many pleasant, kind and generous people who I very much appreciate. Besides, in my personal opinion, water buffalos are in fact really nice animals... On the other hand, meeting the Thai establishment with the more or less well educated and sometimes quite arrogant attitudes of some of these people, is not always such a pleasure. Thailand is a country in which religion and believes appear in very different kinds. The official high religion is theravada buddhism, and the country's slogan is 'Nation, Religion, King'. However, below the surface there are everywhere hints on other spiritual systems, as hindu gods and demons appear ususally in great numbers in Thai temples, statues, pictures and other items. Also natural spirits of animist roots, a pre-stage of organized religion, are still widely revered. The local culture is very much expressed in Isan food, it's sticky-rice dishes with sour and pretty hot chily sauces, roasted chicken and fish. That reminds much to the cuisine of neighbouring Laos, and indeed, most of the cultural particularities have much in common with those of Laos. However, Laos got some culinarian impact from the French in the colonial times, while the Isan didn't. There are no baguettes to get in Isan, while they are in Laos a common product. As typical for Isan food is always sticky (1) rice called. It's also typical for Laotian food and widespread in north Thailand. You don't find it in Cambodia or on the Malay Peninsula. It's in my opinion the favorable rice sort and comes often with roasted or fried chicken (2), also a common dish in Isan, and spicy sauces (6) who are often blends of chily, lemon juice and sometimes vinegar. Pad Thai (3), what is fried noodles with vegetables and sometimes different kinds of meat, is here served on a lotus leaf. Lotus leaves are often 40cm or 50cm in diameter. A typical dish for Thailand in general is khao man ghai (5, chicken on oily rice with vegetables and a lovely chicken soup). Always a favourable dish. At the markets and bus stations women sell small packs of food wrapped in banana leaves (4) as sticky rice with sugar or sticky rice in sweet fruit juice, sometimes it's pork or beef in different variations. On the food markets are also plastic bags with a great variety of different sauces or with soups or fruit or sweets sold (7). Not seldom I have no clue of what it actually is. Additionally to all that home-made food of good quality there is an incredible amount of junk food available, the crap the industries produce and pack in colourful bags to turn the children addicted - here a stall at Nang Rong bus station (8) who sells exclusively junk food. However, there is much, much more and any local region has also certain local dishes. 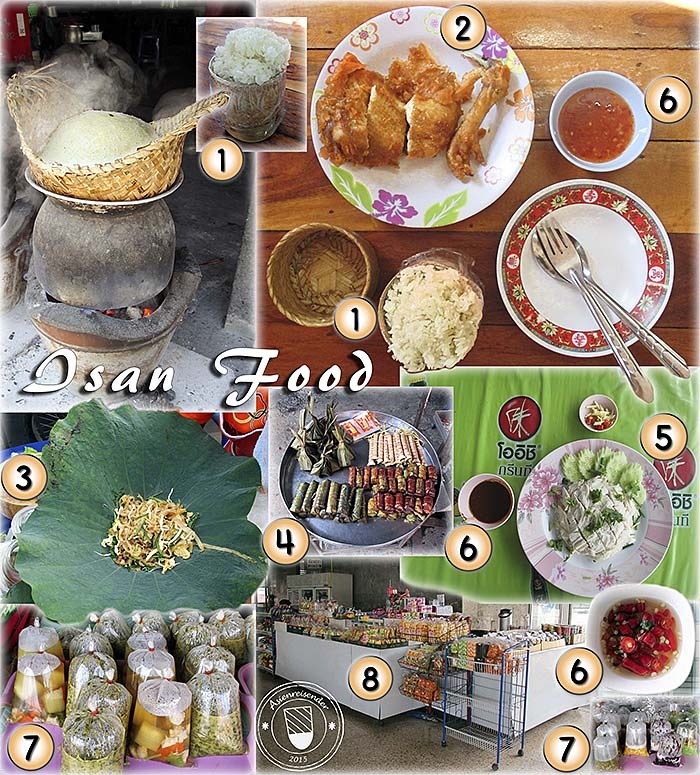 There is plenty of good and healthy food available in Isan and that's so in whole Thailand. 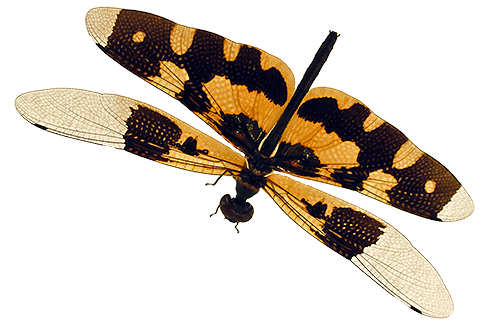 As on many Indochinese markets one finds a lot of insects, but also lizards and frogs to buy. In the past they were eaten out of mere poverty and hardship, nowadays they rise in status and are often seen as a delicacy. By the way, apart from cultural differences, there is nothing to say against insects as food. They are a healthy source of proteins. Crickets rise high market prices today. Familiar to Laos is also the religious architecture of the wats (buddhist temples), the clothing (sarongs), holidays and the arts. There are, of course, a lot of traditional festivals who are celebrated annually or at certain occasions. Usually they come with a great din and fireworks. Tradition is living in dances, plays and colourful costumes. Surin's annual 'elephant roundup' is pretty famous and attracts many visitors. There are two railway lines crossing Isan, built in the 1920s. The main track is coming from Bangkok and is splitting up in Nakhon Ratchasima (also: Khorat). The eastern line leads from there via Buriram, Surin, Si Saket to it's final destination in Ubon Ratchathani. The northern trail goes via Khon Kaen, Udon Thani to Nong Khai and, since a couple of years, it's prolongued over the Mekong River (1st Thai/Laotian Friendship Bridge) to Vientiane. The railway is a great mean of transport. Usually it's spaceous and comfortable, much preferable to cars, buses and vans. It goes straight through the landscapes and one sees more nature on the way than along the roads. The right image doesn't show a red-shirt uprise - it's merely three railway workers on a draisine at Surin railway station. The roadnet consists of 15,000km paved roads. The beginning of it dates back to the 1960s, when the USA built the first main roads to supply US military bases along the Laotion border in order to prepare and lead the American Vietnam War (Second Indochina War). Now, the large roads who connect the province capitals and sometimes district towns are three or four lane highways with a division in the middle. The traffic is getting more and more heavy. Speeding, the big SUV's and the many trucks, the smog, the dust, the din, the danger - in one word, it's as murderous as anywhere else nowadays. The automobilized landscapes don't look much different anymore than in the west. Much concrete, asphalt and all the brandnew vehicles are the uniformed face of the landscapes of our time (see also: Traffic in Thailand). Remote areas have sometimes still a dirt road connection to the next bigger road, but most roads are paved, although the worst ones have many potholes and driving on them requires more care. I noticed frequently that the bus trips over the best and newest highways are still a bumpy affair. That indicates that the road's surface is not as smooth as we know it in western countries. It's often a problem here that the fundament of the roads is insufficient. One can safe money here, or state money get's split up into private pockets, the road is built nevertheless and looks fine - for a time. Erosion, particularly in the rainy season, deteriorates the roads then soon, particularly when being frequented by many heavy trucks. Signposts are frequent and mostly sufficient and are written on the big overland roads both in Thai and western script. 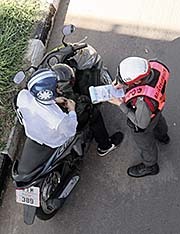 However, smaller roads often lack signs and if there are signs they are in Thai script only. Besides the bridge in Nong Khai are two more bridges over the Mekong River, who connect Thailand with neighbouring Laos. They are in Mukdahan (connecting with Savannakhet in Laos since Dec. 2006) and Nakhon Phanom (to Thakhek in Laos, since 2011). 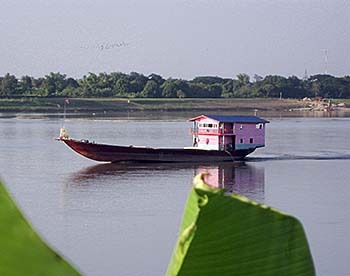 Additionally there run still river ferries over the Mekong and other rivers in Isan. The magnificent Mekong River itself is and was always an important water route in history. However, it's not used by big freighters, for it's rapids and currents are difficult to manoevre and there are at many sections rocks in the waterbed, sometimes under the water's surface and difficult to spot. Although sidewalks are all too often crammed with things of all kind and dog poop on them, they are generally in a better state than in other countries of Southeast Asia. However, far away from being perfect, there are sometimes real dangers. The fundaments of roads are often weak. When in rainy season currents appear in the ground, they leave sometimes holes and make the surface cracking. 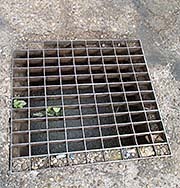 Also the sewers miss sometimes proper lids and it's certainly no pleasure to fall into a sewer hole at nighttime, particularly since many roads are poorly or not at all illuminated. The penetrating stench which is very often coming out of them is comparably a mild annoyance. Isan is the region in Thailand with the fewest physicians and hospital beds per capita. Internet is, as everywhere in Southeast Asia, spreading out rapidly and it's quality is getting ever better in reliability and speed. However, outside the province capitals the connections seem to be worse or cable connections are not available. Most of the Isan People seem to use their cellphones rather than a laptop/pc for accessing the internet. The use of mobile phones is, as well as everywhere in Southeast Asia, rampant. Practically everyone has a cellphone, even the kids, and use it extensively in any all-day situation. It seems like a serious social disorder, for the cellphones are a combination of a toy and a status symbol and, above all, a modern fetish. The use of it, apparently, follows an unconscious and highly addicted scheme. The Mesozoic or 'Middle Life Era' lasted over the time span from about 252 million years ago to about 65 million years ago. The Mesozoic Era is divided up into the Triassic, Jurassic and Cretaceous periods. It was a time in which life on earth diversified very much and the great lizards called 'dinosaurs' appeared and dominated the world for millions of years. In the early Mesozoic Era, the Triassic, Isan was still covered by sea and lifted later up by the pressure of tectonic plates. Witness to the time on the ground of a prehistoric sea give Isan's soils who still consists much of sand and salt. Also the 'Shell and Fossil Museum' in Nong Bua Lamphu describes the development from having been seaground to grow up mountainous in this area. The process of emerging above the sea level was accompanied by volcanic activities. Phanom Rung for example is placed on an extinct volcano. In Mesozoic's middle time, the Jurassic, the climate was dry and hot and Isan was widely a desert with some volcanos, mountains, rivers, swamps and lakes. One has to consider that at this time the geography of the earth looked completely different than now. First, the temperatures were much higher than they are now, and there were no polar ice caps on the arctis and antarctis. Also the continents we are familiar to didn't exist - most of the landmass of the earth was concentrated in one single supercontinent, Pangea. Since Pangea was quite compact, there was not much moderating sea climate, which made the inner part of the continent a large, hot desert. Nevertheless, there was already a belt of tropical rainforest in the equatorial regions. 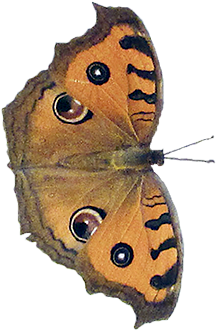 Malaysias rainforests, the oldest forests of the earth, date back to the Triassic (252 - 200 million years ago). These early landscapes were inhabited by a large variety of dinosaurs. The great star in Isan was the Siamotyrannus isanensis, who lived about 130 million years ago and was a supposed ancestor of the famous Tyrannosaurus rex, who lived later in North America. Another big dinosaur of Isan was Phuwiangosaurus sirindhornae, who gained a length of 15m to 20m and a height of more than 10m. Also the early crocodiles were among them, for crocodiles and dinosaurs have a common ancestor. The paradigmatic theory for the extinction of the many dinosaurs in their great variety is that it was caused by the impact of a meteor on the Yucatan peninsular, Mexico, 65 million years ago. The meteor was of a diameter of 10km and had a speed of 30km per second. The Chicxulub valley is the trace of the meteor's impact, 180km in diameter, where the impact left an edge of eight kilometers height. The impact was so violent that it caused a long-lasting, desastrous aftermath. There were earthquakes and huge fires, and probably the activity of volcanos was triggered by the sudden pressure on the earth's crust. A great amount of dust was whirled into the atmosphere. Dust particles blocked the sunlight and that led to the mass-dying of many plants. 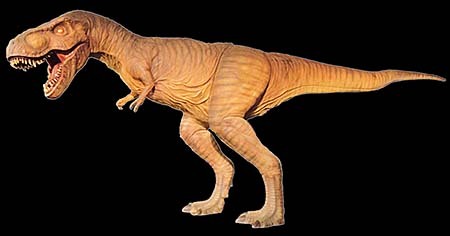 Dinosaurs, many of them big animals who depended on large food quantities, couldn't survive the lack of food. More crucial was probably the drop of the temperatures, for the dino's were cold blooded animals and insofar depending on warm outer temperatures. It took the biosphere quite a time to recover from the disaster, and at the end verymost of the dinosaurs hadn't survived it. But it was the start for another family of animals to emerge: the warm blooded animals and the mammals, who were the ancestors of the much, much later evolving hominids. There are actually quite many places in Isan who have been inhabited by ancient people in prehistoric times and bronze age already. 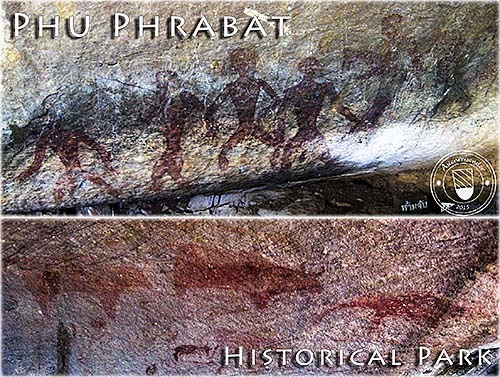 To name only two, there are the cave paintings in Udon Thani Province and the settlement of Ban Chiang. 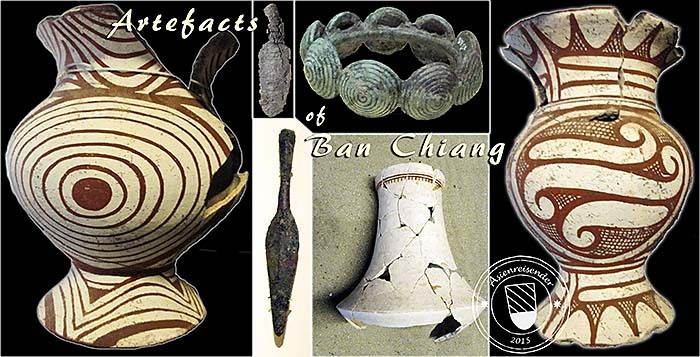 Ban Chiang Archaeological Site is the most significant pre-historical site in Southeast Asia. It marks the transition of nomadic living people to sedentary people who were the first in Southeast Asia who started to cultivate wet-rice, produced textiles, pottery, jewelry and hunting weapons made of bronze and later iron. 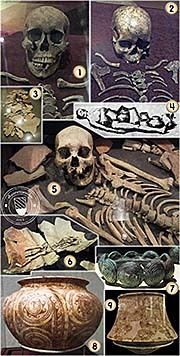 The site of Ban Chiang was inhabited for at least 3,500 years, maybe much longer. It was abandoned in the 3rd century CE for unknown reasons. There is speculation about a local climate change which bereaved the people there of their basis of existence. The people of Ban Chiang didn't evolve a 'civilization', an appearance which happened from the first century CE on at Funan in the Mekong Delta. 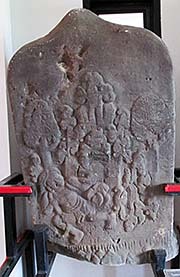 The Khorat Plateau came under the influence of the Dvaravati Culture and in middle ages the empire of Angkor. 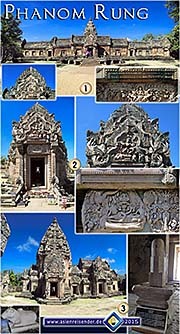 Angkor left a number of medieval Khmer temples as Phimai, Phanom Rung, Prasat Muang Tam, Prasat Ta Muen and many more. Geographically seen, also the famous Khmer temple of Preah Vihear belongs to the region. With the rise of the Thai city states of Sukothai and Ayutthaya a centuries long military feud between the Thai and the Khmer led finally to the defeat of imperial Angkor. In this time Isan was sparesly inhabited and merely a buffer area between the empire of Ayutthaya and the Laotian empire of Lan Xang. Due to internal strife some Laotian noblemen left Luang Prabang and Vientiane and founded new settlements on the Khorat Plateau. In 1778 Ayutthaya became suzerain over the Laotian kingdoms of Luang Prabang, Vientiane and Champasak and also gained sovereignty over the Khorat Plateau. The Laotian king Anuvong tried a revolt agains Siamese rule in 1826/27 and sent an army against Bangkok. The army was defeated by the Siamese at Khorat who conquered Vientiane again in 1828. As a punishment they deported a 100,000 Laotians from the eastern areas of the Mekong River to the western side, the Khorat Plateau, to weaken the Laotian forces and to gain better control over the population and the land west of the Mekong. After the Pak-Nam Incident in 1893, Siam had to cease it's territories east of the Mekong to French Indochina. In the following time the Siamese government under king Chulalongkorn (Rama V) started efforts to integrate the population of Siam's northeastern parts into the Siamese state. In this time the term 'Isan' was minted by the Siamese, who wanted to make clear that this part of Siam's empire is different from the lands east of the Mekong and not an ethnical part of Laos (to cushion the French appetite for further colonial expansion). The incorporation into the Siamese state shook the local society and economy and changed things basically. On both sides of the Mekong, in Isan as well as in the Laotian parts of French Indochina a revolt broke out in the years 1901/02, led by so called 'holy men' (phu mi bun). Myths of a coming divine and justice king came up and dozends of men claimed now to be the awaited saviour. The revolt in Isan was beaten down by the Siamese military. Under the fascistic orientated military regime of Phibun Songkhram, the Thai state started a second round of incorporation of Isan, this time an ethnic Thaisation effort in the late 1930s. The Laotian roots of the population were denied, the Laotian alphabet marginalized and therefore the Thai alphabet favoured and promoted. The use of local languages was officially declared as reactionary, if not as treason. However, until today is Isan a region which is behind the development of central Thailand and particularly Bangkok, the center of the Thai state. In the 1960s came a strong communist movement up in the northeast, which fought the central state until the early 1980s. Isan still remaines a region with strong oppositional political forces. 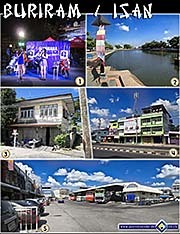 The widespread dissatisfaction in Isan was used by the emerging telecom tycoon Thaksin Shinawatra to gain popularity and votes in the elections 2001 and 2005. Cheap access to the health care system, debt abatements and cheap credits for peasants, development of the infrastructure and the promotion for foundings of companies were the key for Shinawatra's success here. His success, however, was just that he took advantage of the failure of the traditional Thai elites. In the escalating conflict since the coup de etat of 2006, the majority of the Isan People is on the side of Thaksin Shinawatra's politics respectively the 'red shirt movement', who opposes the traditional elites in Bangkok.